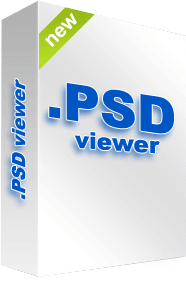 PSD viewer have a user-friendly interface. 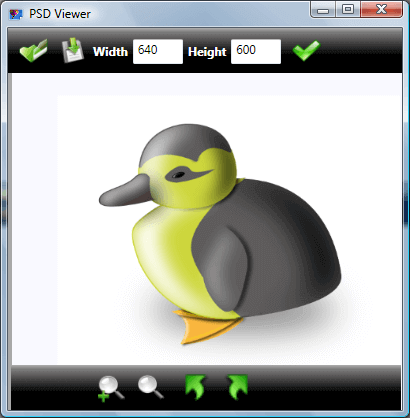 You can easily access to every command trough toolbars and open, save and resize opened picture. Toolbar below picture is used for zooming and rotating opened picture. 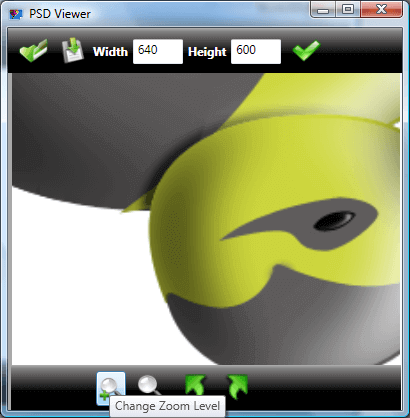 With PSD viewer, you can easy rotate or zoom opened PSD image. Zoom in and zoom out is supported both with mouse or zoom slider on toolbar. 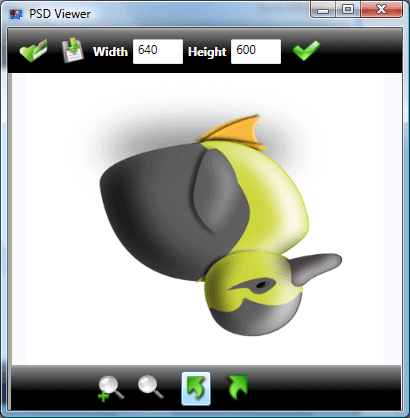 Image can be easy moved just with press and hold mouse button. This is good if you want to zoom and look details of the opened object.